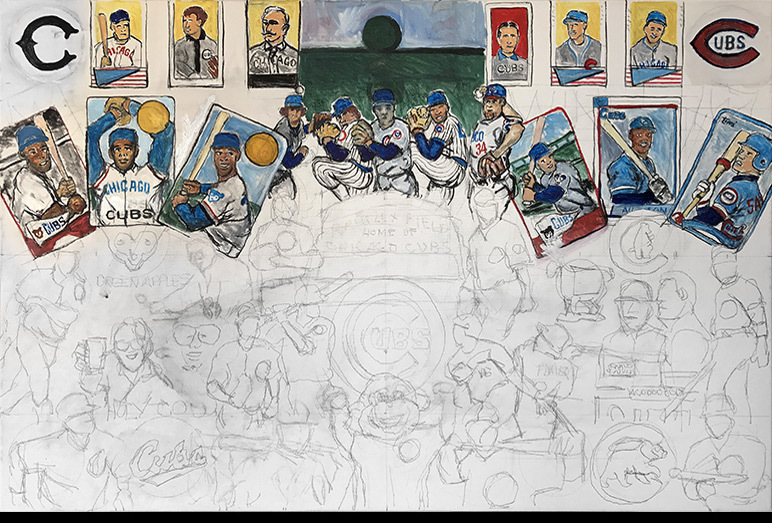 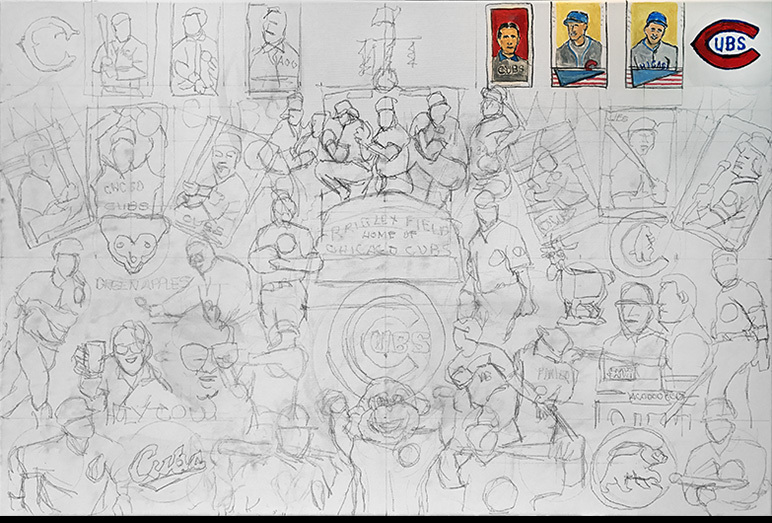 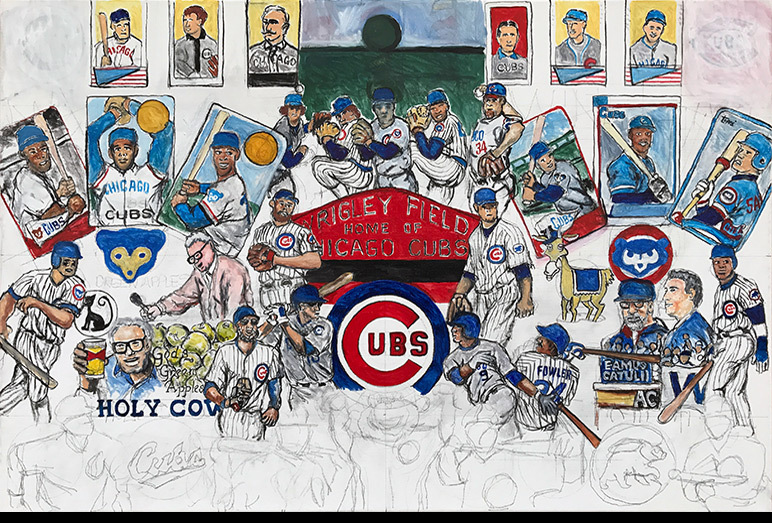 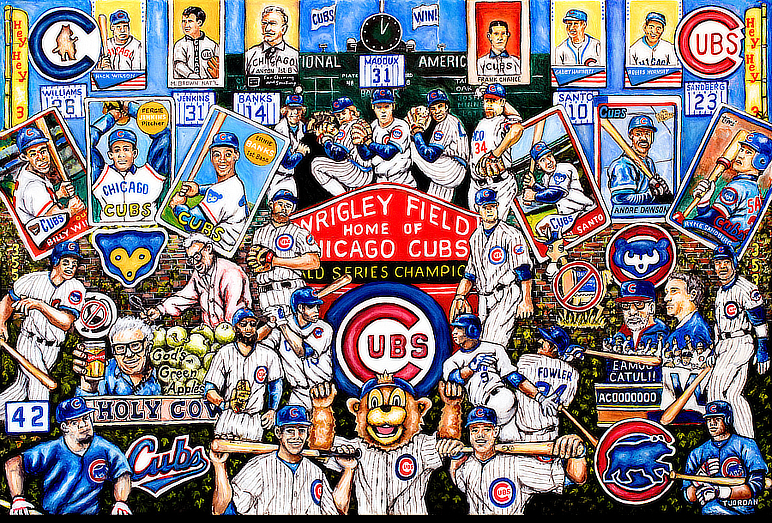 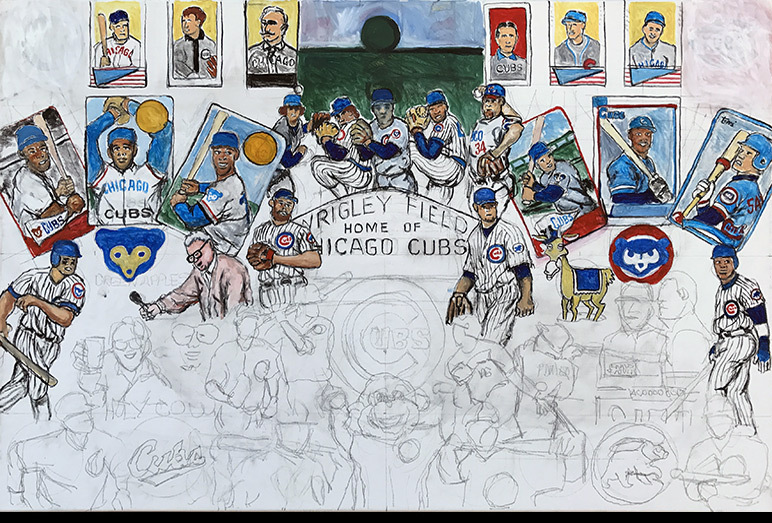 Chicago Cubs Tribute -- Painting Progression -- Use controls to view all images. 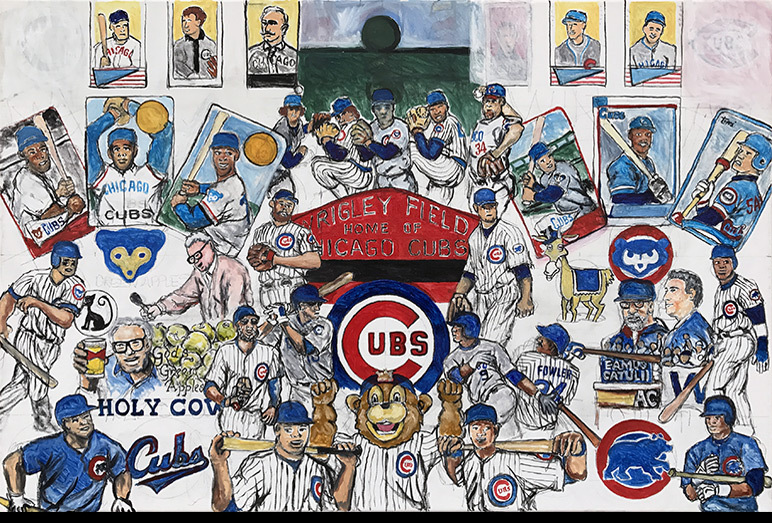 Tom is very excited to introduce his new Chicago Cubs Tribute painting. 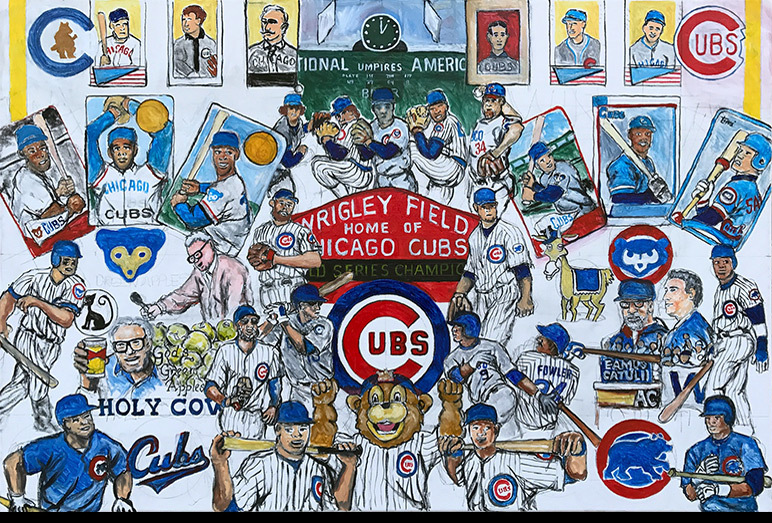 After 108 years, the cubs finally win another world series and end the oldest championship drought in professional sports. 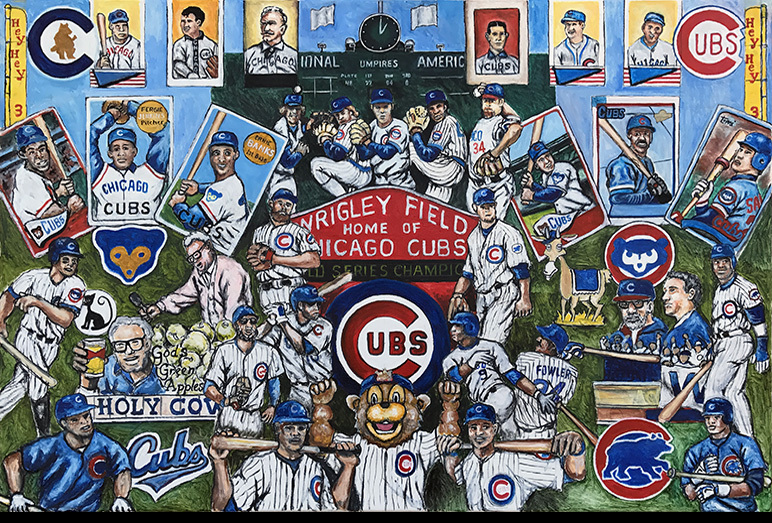 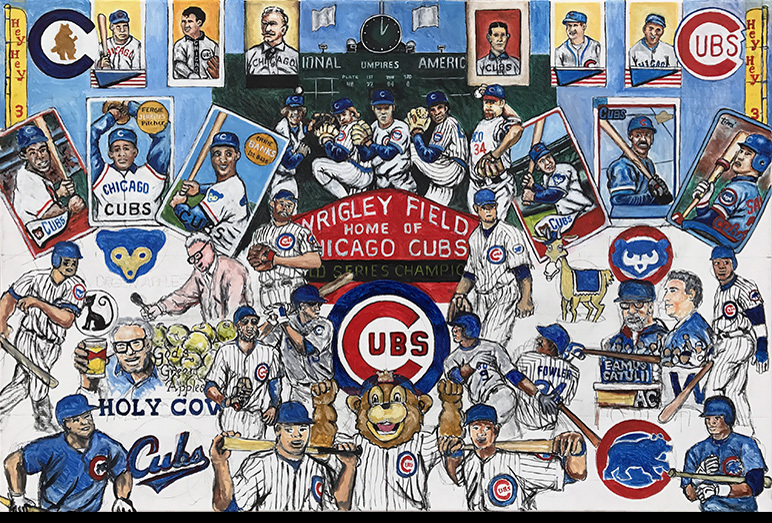 This painting is a tribute to the incredible history of a widely loved Cubs organization and the current World Series Champions.